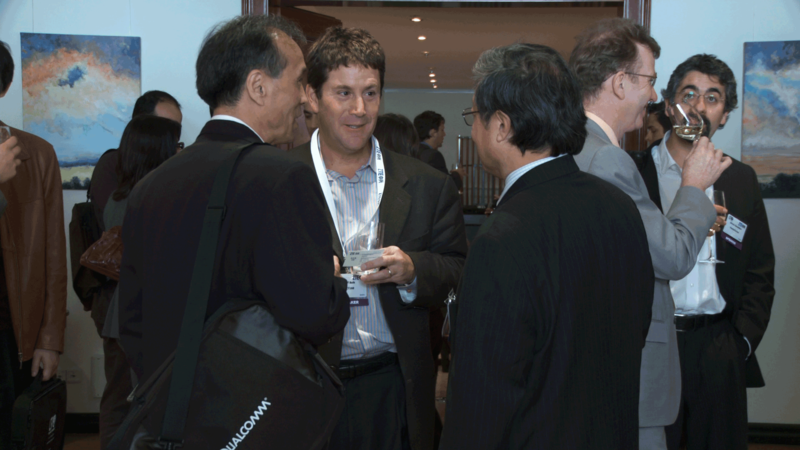 ﻿﻿ I was lucky enough to attend Informa’s LTE World Summit last week on behalf of Femto Forum. A great event, with enormous opportunities to quiz the great and the good of the industry on their views and experiences with LTE (I even got snapped doing that last year). I also acted as a judge for the LTE Awards. It’s all getting very real. And when it works, it works really well. I got to talk to some folks who are actual commercial users of the TeliaSonera network – the only commercial one today. They said they wouldn’t dream of going back to ADSL now. And that they use LTE in preference to their office network when video conferencing. Devices are in short supply. Nothing new there in a new mobile technology (remember how GSM used to stand for “God Send Mobiles”), but this time around it’s complicated by the 20-odd frequency bands supported by LTE, the advent of dongles as well as handsets, the need to support the legacy technologies as well (GSM, UMTS, HSPA(+), CDMA,…), multiple modes (TDD and FDD) and so on. There is some prospect for more flexible device technologies to help with this complexity (watch out for the clever folks at Lime and Cognovo, for example), but that’s unlikely to solve the issues in time to help with early launches. Trials are going well and generally the technology is doing what it set out to achieve (just as our associate Julius was able to establish in his time chairing the LTE/SAE Trial Initiative). But they are also throwing up concerns, such as Telefonica reporting that indoor coverage from their 2.6 GHz trial in London was ‘disappointing”. No-one knows quite what LTE will be used for. But that’s nothing new – hands up who predicted the explosion of dongles back in 2003 when 3G networks were first being launched? No-one? Thought not. But those are expensive networks, so funding large-scale roll-out in the near future with no clear idea of what customers are paying for is pretty challenging. Femtocells will be part of LTE networks. That might not seem a big surprise coming from me, but there really does seem to be wide-spread acceptance that the topology of LTE networks needs to be different to previous networks in order to deliver on the promised performance, supported by the recent completion of the 3GPP Release 9 standard which provides for a full end-to-end LTE femtocell network. Why? See the recent Femto Forum white paper on the topic. I’m already looking forward to another big next-generation mobile conference: 4G World in Chicago in October.